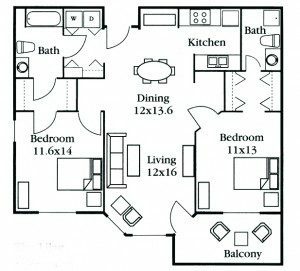 Apartments at Temperance Lake Ridge wereÂ designed with our residents in mind and help keep them as independent as possible, for as long as possible. 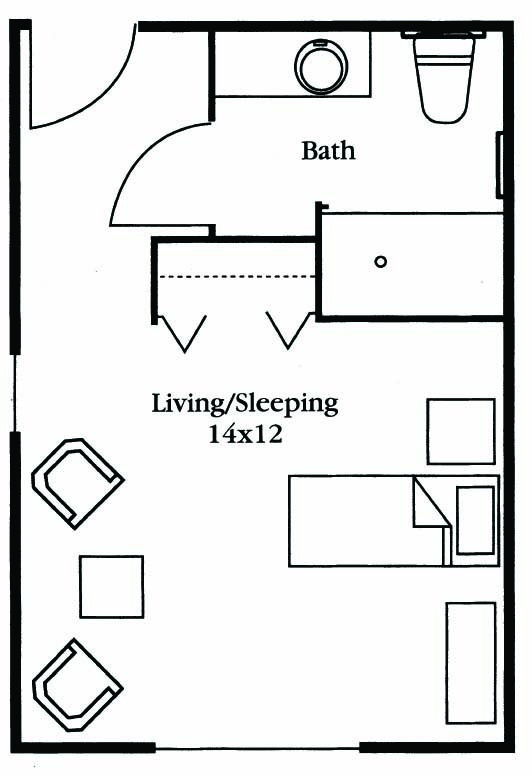 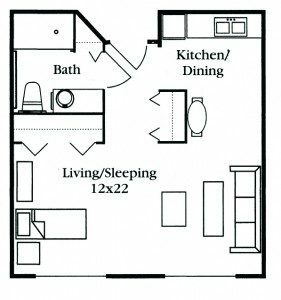 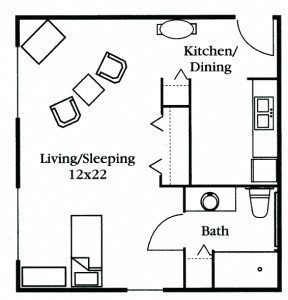 Offering one and two bedroom, private apartments that include: a full kitchen, private bathroom with low-step showers, our residents find everything they need to help with the little things. 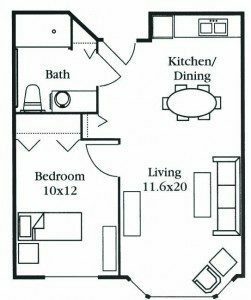 We even went as far as raising the outlets throughout the apartment so residents wouldn’t need to bend over as far as they would in a normal home to use the out-lets. 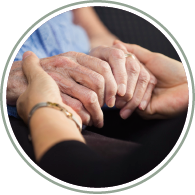 We’ve also included an emergency response system so when a resident needs to contact a care provider in an emergency, they can, right at their fingertips! 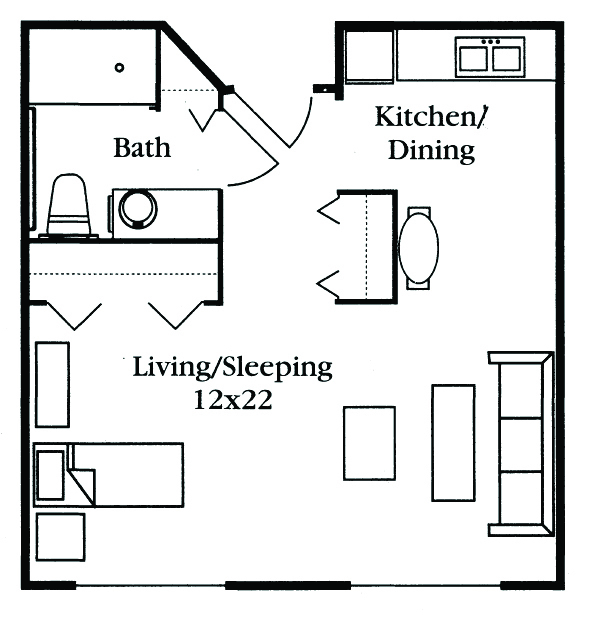 All utilities (except telephone) are included with the monthly rent which includes: television, heat and electricity. 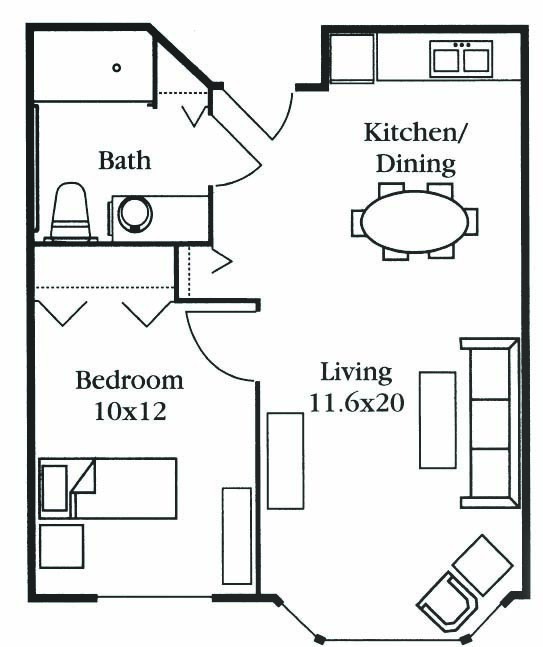 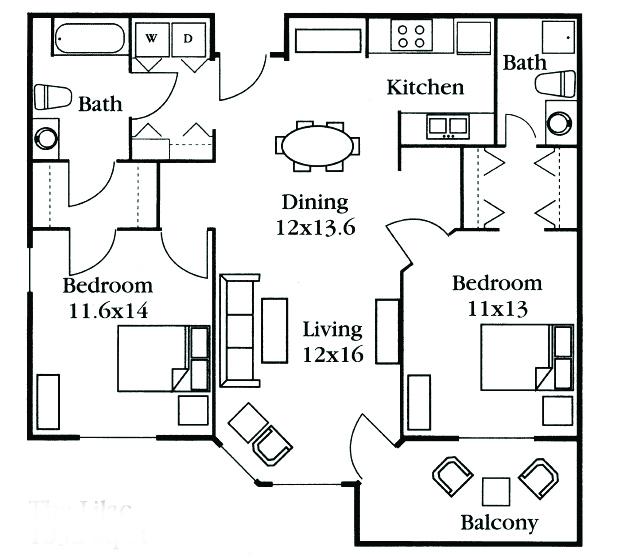 Temperance Lake Ridge offers different styles of one and two bedroom apartments. 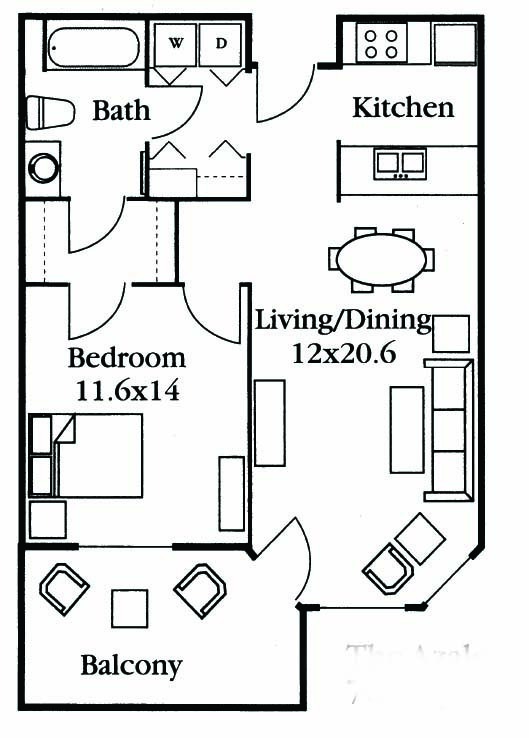 Private, spacious, and being home are some of the words that our residents use when describing their apartments, life and their lifestyle at Temperance Lake Ridge. Residents bring their own furniture and decorate the apartment to reflect their own personal tastes. 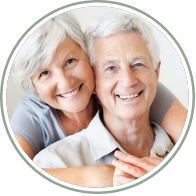 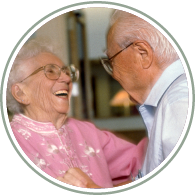 Temperance Lake Ridge believes that anyone who becomes part of our community is home, and we strive to make each resident as comfortable in their new surroundings as possible. 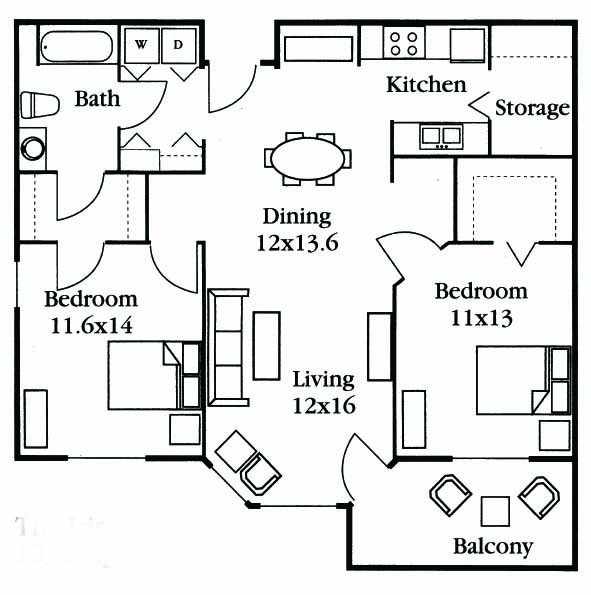 Throughout your apartment you’ll notice the design of the apartment that makes your life easier…lever handle door hardware, wider halls and doorways, wall-to-wall carpeting, single handle faucets, electrical outlets placed high for easy reach, high lighting level, raised television and telephone jacks. 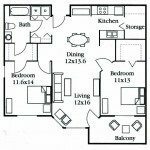 Now enter the bathroom and notice even more special touches…grab bars, walk-in showers higher height toilets. 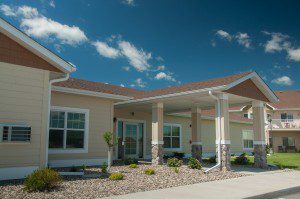 All of these and more to make your life at Temperance Lake Ridge more enjoyable! 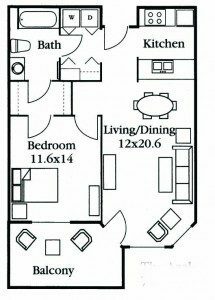 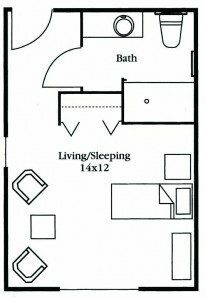 If you have any questions regarding any of the floor plans for Temperance Lake Ridge , please contact the Director of Resident Services.